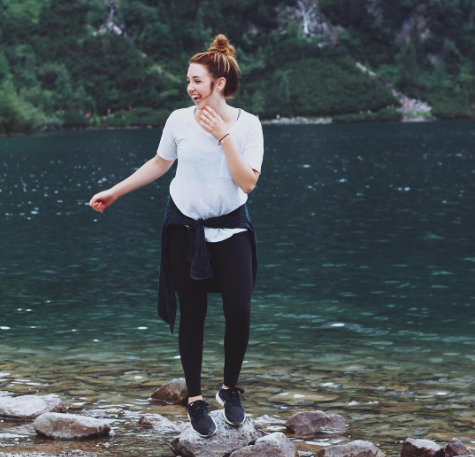 So far, we haven’t run into things about Poland we don’t like, but this hidden lake may take the cake — it’s ideal for a laid back vacation. The more we learn about Poland, the more we fall in love (seriously). If you’re one for outdoor adventures, quaint European streets, tons of history right outside your door (and nearby Warsaw) and goooooood food, this country is for you. So the waters at Zakrzowek Lake aren’t as warm as the Caribbean but they are that blue. This lake is oh-so-pretty in the most unreal way. Bring your camera, because it's very photogenic. There are even cliffs you can jump off for that perfect picture. 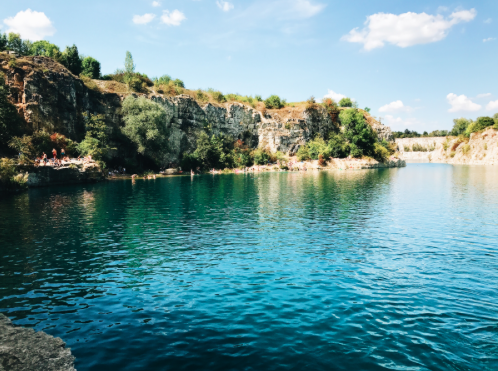 So, this lake was actually an old limestone quarry (which makes for an awesome backdrop and little cliffs to jump off of) and the entrance fee is 10 zloty, or about $2.75. You’ll get a wristband that lasts all day long. 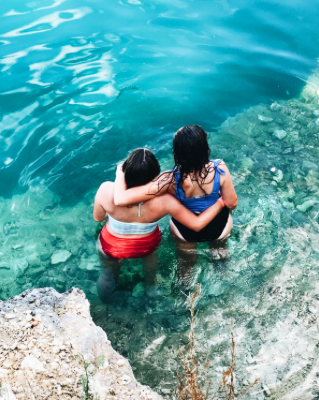 Come for a day of swimming and exploring on sunny days, or come pack up a picnic (or even have a barbecue) on days that aren’t perfect for swimming. Abbey says “even if you are only in Krakow for a few days, if there is sun in your forecast, I would highly recommend adding this to your bucket list”. 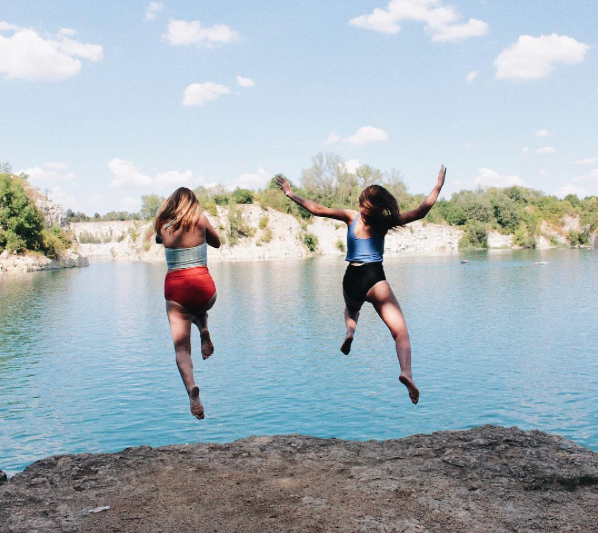 Here’s what Abbey K. suggests: “For the perfect day, like the one we had, I highly recommend bringing a towel, an outside blanket, snacks, a speaker and music, sunglasses, a camera, and your flipflops. And wear your swimming suit there since there is no convenient place to change anywhere near by. Then just have fun and soak up some of that beautiful, Polish sun!” Easy, right? It's the perfect day trip from Krakow (which we high recommend exploring as well). It’s easy: Hop onto tram 18 or bus 194 and get off at ‘Kapelanka' or 'Norymberska’. 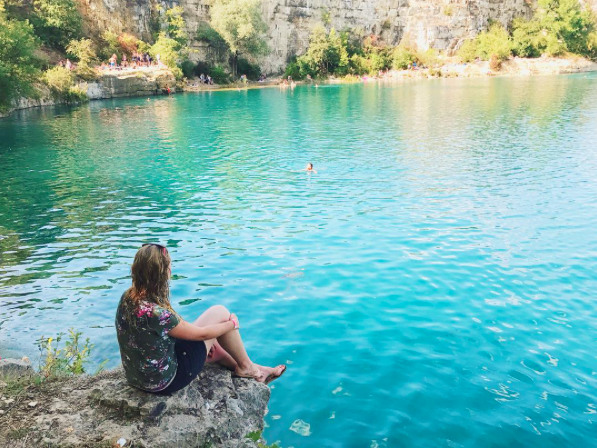 Walk about five minutes to find this hidden gem — the lake is hidden by trees so it’s impossible to see until you are actually there, but once you are there, you aren’t going to want to leave. Ready to spend a semester abroad in Europe?